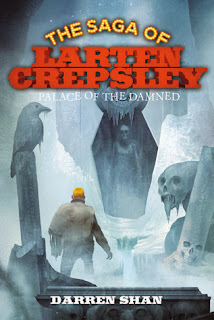 Darren Shan (born July 2, 1972 in London, England) is the pen name of the Irish author Darren O'Shaughnessy, as well as the name of the protagonist of his book series The Saga of Darren Shan, also known as The Cirque Du Freak Series in the United States. He is the author of The Demonata series, as well as some stand-alone books, and a series of books for adults under the alternative name of D.B. Shan. This read sounds really exciting! I love adventure books especially with vampires and it includes a love story too. thank you for this wonderful opportunity! I love the summary and it looks like it is a great series! I LOVE the Cirque du Freak movie although I have not read the books :) Definitely going on my to-read list! The summary is great. I have been really wanting to read this series. 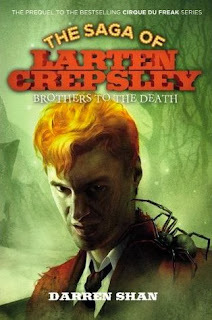 Since reading the Cirque Du Freak series, I have liked Larten Crepsley's character. vampires fighting vampires - an awesome concept that could be totally consuming to the reader! Lots to keep the reader gripped to the end! This sounds exciting & quite intense. I like the fact thats its about a vampire for one. It sounds very intriguing and catches my attention. Ahh. I love Darren Shan. He is one of my favorite writers.